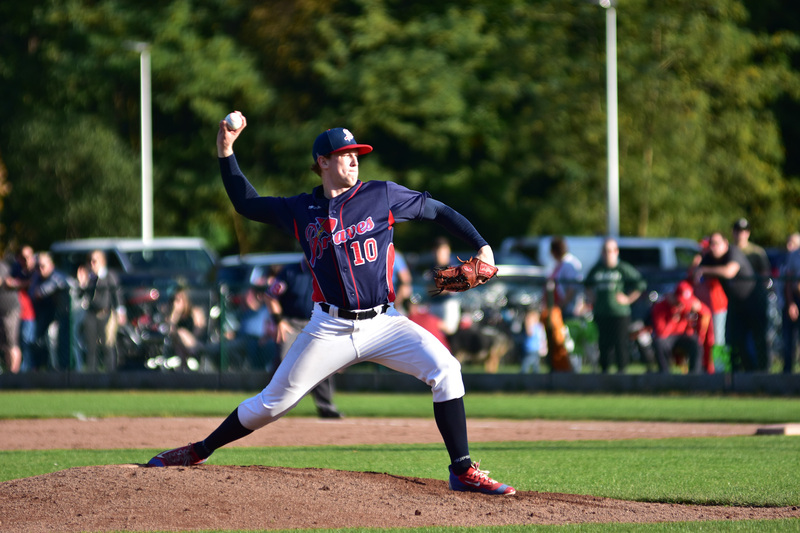 European Top Baseball at Brasschaat in Federations Cup, 11-16 June 2018. 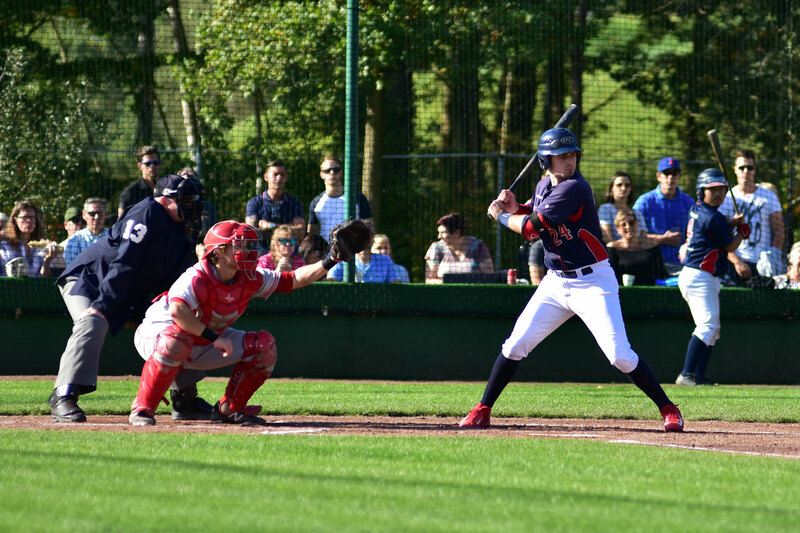 This week from 11 to 16 June 2018 the Federations Cup Baseball will be held in Brasschaat. 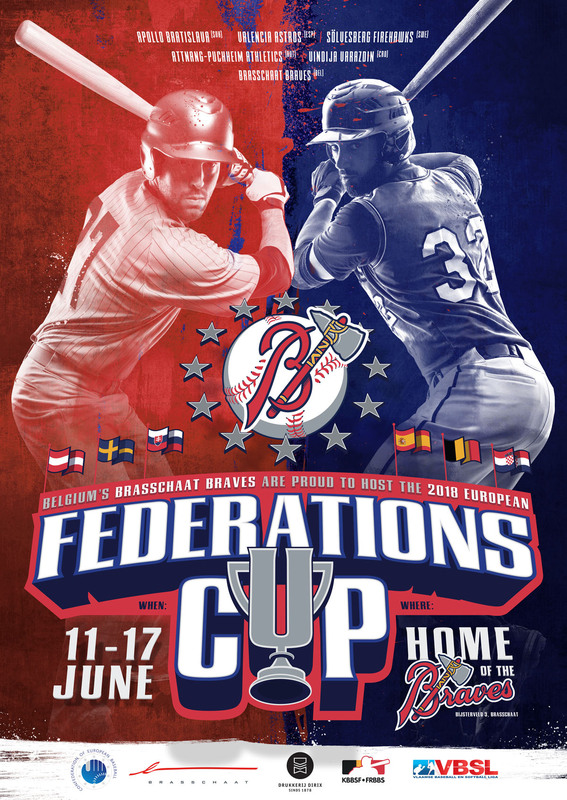 At this European CEB baseball tournament for club teams, teams from Spain (Valencia Astros), Sweden (Solvesborg Firehawks), Austria (Athletics Attnang-Puchheim), Croatia (Vindija Varazdin) and Slovakia (Apollo Bratislava) will compete against the Belgian Brasschaat Braves. 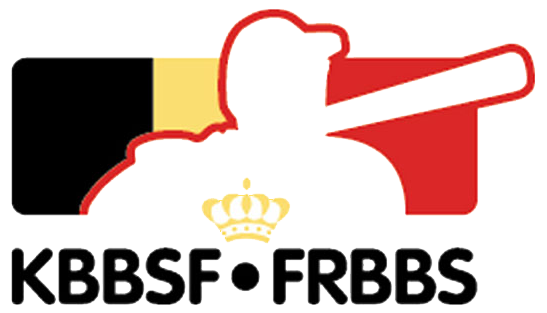 Top baseball guaranteed and extraordinary to be held in Flanders. Braves head coach Rik Ruts already has full confidence in his young team. “The boys are ready! Reaching the final is the first goal we’ll be working towards; after that the sky is the limit”. This is a unique opportunity to attend top European baseball games close to home. From Monday to Friday, 3 matches are played every day at 10h, 14h and 18h. Monday June 11th at 17h30 the tournament will be officially opened with a Braves opening ceremony. On Saturday 16 June the tournament will end with the Federations CUP 2018 Final at 14h00. Everybody is welcome. Entrance is free. All tournament games will be played on the beautiful “Home of the Braves”-complex located at Bijsterveld 3 in Brasschaat, near the military airport. See you there!